“What do I need to start a business?”, you might be thinking. From what business to start to how to raise the money for it, the sheer array of options can be daunting. 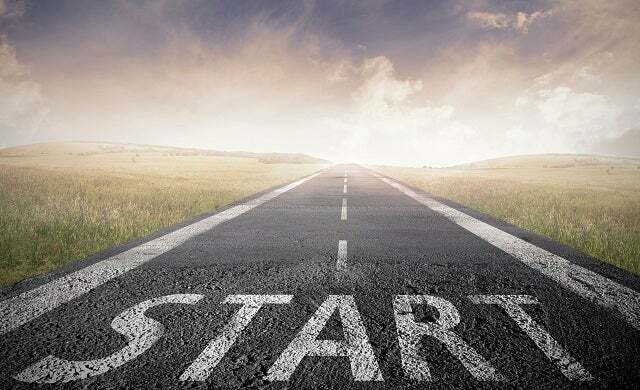 Luckily, Startups.co.uk has a range of resources available to take that nascent entrepreneurial desire through the stages it needs to become a viable business and so we’ve gathered together the essential things to consider when you’re thinking about how to start your own business. It may sound obvious, but if you’re going to be a successful entrepreneur you need to define what your business is before you begin! Maybe you want to know how to start a business – some sort of business – but aren’t sure what business that might be yet. If so, there are a multitude of options available, whether it’s to support the lifestyle you want to lead or to make extra cash part-time; perhaps you want to know how to start a small business at home, for example. Take a look at our guide on how to start a business without a revolutionary idea – or, if you want to start a business from scratch take a look at our guide on how to come up with a business idea. Writing a business plan is essential for a successful business, however tempting it is to jump right in starting a business once you’ve got your idea. Read up on the 12 common elements strong business plans share to make sure you have a clear roadmap before starting out. Initially, you should thoroughly research your market to assess the viability of your business idea (take a look at our tips to check if your business idea is viable): how many people will buy your product or service, who are they and how will you be able to reach them? Once you know how much money you’ll need to start your business idea, you can source the finance for it. It’s not hard to see why many entrepreneurs start with personal finance or the assistance of friends and family, but try not to put your house, or anyone else’s, on the line. It may be worth seeing if you can get a business loan to help. Bear in mind that you will have to pay back any loan, however. You could also consider if you are eligible for any small business grants, though they are often difficult to come by. Crowdfunding and equity investment, for example through our Start-up Series competition, are potential options that could, for example, be considered for funding prototypes, but are more often funding sources which can be used once your business has already got off the ground. You’ll need to decide if you’re going to start a business as a sole trader, in a partnership or as a limited company. All of these have different tax issues to consider, as well as different liability considerations: take a look at our article on choosing the right business structure, which discusses the merits of each. Many businesses will set up as a sole trader to start with as it involves minimal red tape, but it’s worth assessing whether a limited company, for example, might offer more benefits. It’s possible to change your business structure once you’ve started, but it makes sense to think about it now! You’ll need to submit a self employed tax return so you’ll need to keep track of your business transactions. If you’re setting up as a sole trader, you don’t necessarily need to open a separate business bank account, but it could be useful to help you keep track (if you register a company, you will need to open a business bank account – many formation agents allow you to do both at the same time (some give you cashback as well)). There are a number of tools to help you track your accounts (incomings and outgoings) as you go along – though a simple spreadsheet may suffice to start with. You should have a cashflow plan from your business plan, but it may be worth speaking to an accountant from the outset to help you prepare in advance. It’s worth noting that once you’ve started trading, you will need to inform HMRC, so it may be good to do this at the outset as well. If at this stage you also need to begin considering staff, then it is always worth considering using an external HR agency or payroll specialist to ensure that your operations are as well managed as possible. In addition to the internal tracking required to monitor your company, you may also need to implement new systems to track sales and revenue; often accepting credit card payments is one of the first steps for sales-focused businesses, with EPOS systems and CRM products also required. A business’ name, logo and business cards can be the difference between failure and success. There’s a good chance you might have started thinking about a business name when you came up with your business idea, but now is the time to settle on your branding. This will likely include checking the business name you want (or at least, something close to it) is available as a web domain, and then registering a domain (take a look at one of our videos on how other entrepreneurs decided how to choose a business name). You can then look into the visual aspects of your business name, which will include your logo, web design, business cards and other branded items you may need (such as stationery). Think about what equipment and resources you will need to start your business. Many may be allowable as a business expense (see our article on self-employed expenses). PCs and smartphones are more or less essential, as is a space to work in, whether or not you decide to get premises, use a co-working space or work at home. Vans are a necessary purchase for many start-ups, especially in the trade sectors, whilst printers may be beneficial for others. Getting equipped also includes making sure you have the right business insurance and licenses for your particular business – whether that’s employers’ liability insurance if you need to recruit a member of staff to start your business or professional indemnity insurance if you’ll be providing a service to clients. You need to know how you will promote your product or service and who you will target. This will already be in your business plan, but now it’s time to put it into action. Much of a start-up’s early budget will be on marketing, whether that’s PR, SEO, flyering, networking, telemarketing or targeting retailers. If you wish to start a business, then a home based business could be ideal. The biggest advantages are working hours that you can set to suit yourself, the opportunity to leverage time through the efforts of others, and significant tax advantages. There are hundreds of possible businesses, but as you realise a business requires some capital to start up, so I would recommend looking for one that requires less than £500 to start, but remember it is your business and it will only be successful if you are prepared to put some amount of continuous effort into it. It will take some time to build and get an income flowing, so I would study all opportunities very closely and see if your choice has any bonus schemes which can act as cash flow as the main income stream grows. The good thing for you is that you would have your other funds to keep you going while the new business gets going.